There are currently 0 players on YayMC. NEWS: Snow has been disabled, I hope everyone has had a great festive period! There are no messages on Textarea's profile yet. YayMC was an adventure that started around Christmas of 2015, and has grown ever since that day. 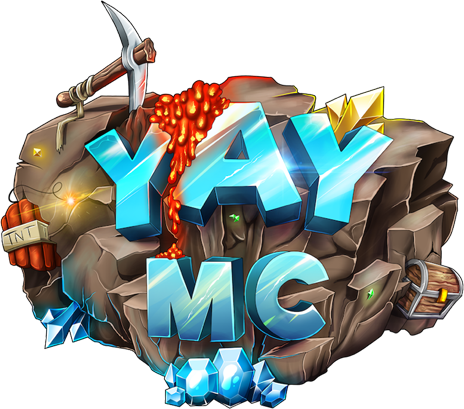 Ever since release, YayMC's Management has prided itself on creating custom, creative, and unique content that the community wants to see. Our ever-growing community has many proud members who are fond of what Yay was, is, and will become. The Management team at YayMC focuses on pushing bug fixes, content updates, and gameplay changes to keep your experience smooth, and unique. We wouldn't be able to do this without your everlasting support. Donating is the main way to show your support of our efforts. Not to mention, you get amazing and fun perks!